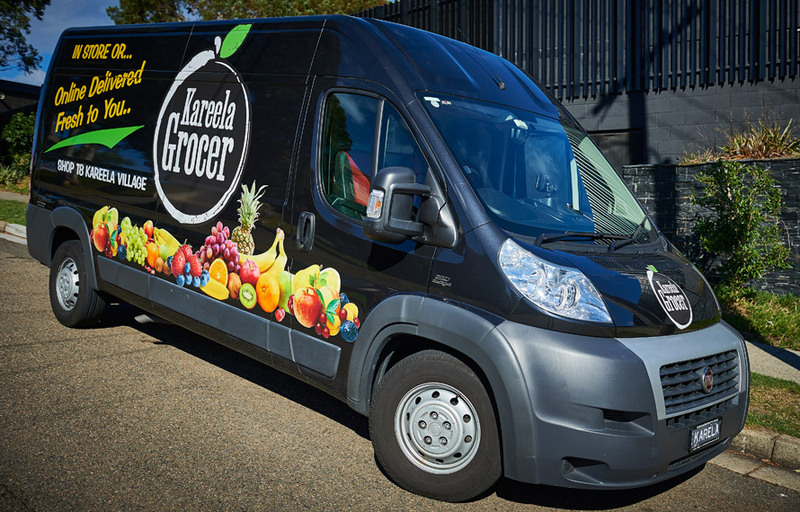 Located in the beautiful surroundings of Kareela in Sydney's South, Kareela Grocer is a one stop shop for the Shire's finest and Freshest Produce, Continental Groceries,Flowers, Delicatessen and salads. Owned by Paul Moraitis and his family the store is part of the brand new "Kareela Village" shopping center. Paul has had a passion for produce for over 35 years. We are 100% local and Australian owned. "I have a love for the industry and want to deliver to our customers the very best fresh food available". "We are obsessed about customer service and satisfaction at the same time giving them opportunities to try new and exciting products". Our specialized professional and friendly staff are always on call to answer any of your questions. We source as much local produce as we can and I am proud to say that 98% of our in store produce is Australian Grown. The only produce that is imported are products that are counter seasonal and are not available locally. We have designed the store to create the most comfortable and exciting shopping experience for our customers. Please come and pay us a visit. Part of our state of the art retail store is our providore /Wholesaling division concentrating on servicing the Sutherland Shire. Our customers include restaurants,cafes,hospitals. It has the newest state of the art fleet of vehicles to ensure the cold chain is managed to provide the freshest quality produce to its most valuable customers.